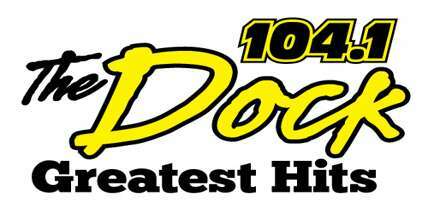 104.1 The DOCK – Simcoe County’s Greatest Hits! Subject: Blog Topic: 104.1 The DOCK Live Online Radio Simcoe County's Greatest Hits! 104.1 The Dock – CICZ-FM is an online based radio station broadcast from Midland, Ontario, Canada providing Classic Hits music, information, and entertainment. Bell Media is the owner of this station. The first air date was July 1, 1959 (AM) as CKMP 1230 AM, operated by Midland-Penetang Broadcasting Ltd. CICZ-FM was commercially known as 104.1 The Dock is a country radio station. This radio station provides the best and greatest Country hits you could ask for. Slogan: Simcoe County’s Greatest Hits! To get more information, just visit 104.1 The Dock FM official website: 1041thedock.com. On August 9, 2017, Bell Media announced that it would acquire CICZ-FM. Bell Media received approval from the CRTC on February 14, 2018. CICZ-FM is the station to tune in if you’re a true Country fan. Midland-Penetang Broadcasting Ltd. opened CKMP 1230 AM on July 1, 1959, with studios at 196 Dominion Street in Downtown Midland. The studios moved in 1990 to a new facility on Cranston Crescent off Highway 12 in Midland, in a facility that also housed Telemedia’s community newspapers. When the simulcast began, CKMP’s format changed from AC gold to country music. CKMP moved to 104.1 FM in 1994, changing call letters to CICZ, while CFOR became CICX-FM, broadcasting at 105.9 FM. Larche Communications purchased CICZ from Telemedia in 1997 and acquired CICX from Rogers Communications in 2007. On March 3, 2008, Larche moved the country format to CICX, replacing the Orillia station’s former Jack FM format, and adopted the classic rock format on CICZ. On August 9, 2017, Bell Media announced that it would acquire CICZ-FM. Bell Media received approval from the CRTC on February 14, 2018. Brian Wix, Chris Evans, Josh Duncan, Kayla Irvine, Mark Hendrie, Meg Whitton, Ryan Mcleod, Shawn Gilmore and Ted Roop. Social Contact: Facebook, Twitter, Website. Address: 355 Cranston Cres., Midland, Ontario L4R 4L3, Canada. Liveonlineradio.net has 104.1 The Dock – CICZ-FM Radio in its listings. Just click and enjoy. 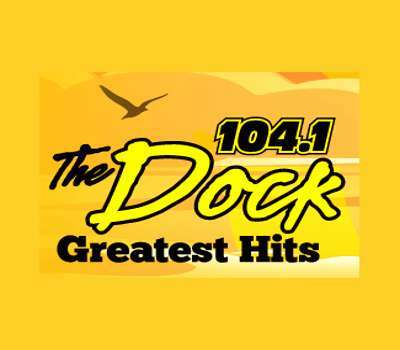 104.1 The Dock – CICZ-FM – www.liveonlineradio.net/canada/104-1-dock. 100.3 SoundFM – Hear what the Noise is all about ! 101.3 The River – Today’s Best Music! Copyright © 2018 LiveOnlineRadio.Net . All Rights Reserved.